Can't think of anything to say. Brain dead. Bleh. Angela, Anil and Lucy (she says, breaking the unwritten rule that real names don't get mentioned), best of luck/divine providence with your exams. 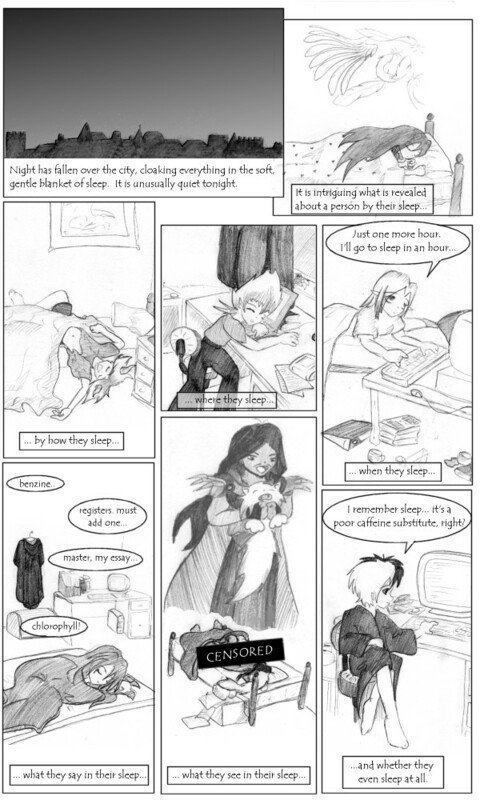 I've been doodling non-story stuff a bit recently (next week's strip? What about it? *cough*notdunyet*cough*). 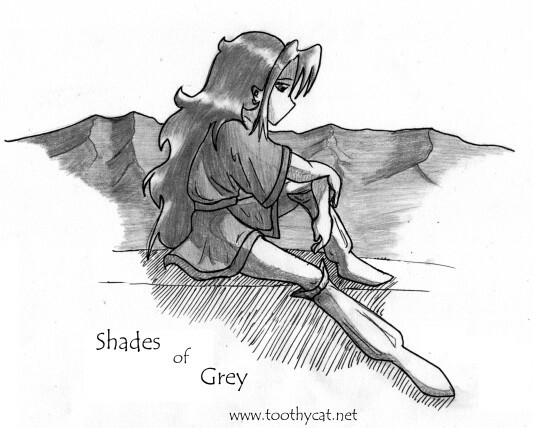 Here is one that I was pleased with, based on one of the characters from the RPG Shades of Grey.